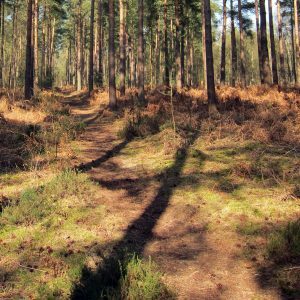 Tracks and paths are an amazingly important element of any woodland - they are the arteries along which management tasks will be done and the viewing points from which you will see what's happening in your forest. Usually owners just live with the tracks that have been there for decades, perhaps even hundreds of years, but you can vary the routes or even build new tracks. Woodland tracks are also often called "rides", presumably because they would have been maintained in order to ride around the woodland on horseback. In creating and maintaining tracks, the key variables are - the soil type, the slope and the tree cover. I have sometimes helped create tracks on sandy soil where little more was needed than marking them out, but on most soils the challenge is to stop the track becoming muddy and to stop deep ruts emerging when they are used by heavy vehicles. The most difficult soils that I've come across are the heavy clays of Kent and Sussex - it is no coincidence that these counties have relatively few equestrians, whereas counties with more sandy soils such as Surrey and Bedfordshire have lots of stables and the ground makes these counties more suitable for keeping and exercising horses. Gradients of tracks are always critical and good tracks will follow contours as far as possible and rarely run along valleys with their wetter ground and tendency to flood. Inevitably most routes will have a slope and this usually creates a risk for your tracks - the risk that the track becomes a stream-bed in wet weather and the surface gets washed away. 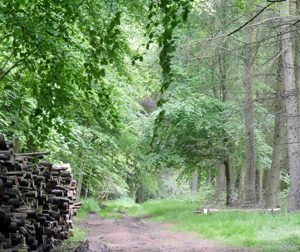 The best way to avoid this is for the track to be banked up so that it is higher than the surrounding ground - this can be done either with imported stone or by using material from within the woodland itself. Sunken tracks are often very ancient but they create a real problem if they become a route for a watercourse as they cannot realistically be built up and you will need to find ways of stopping drainage water flowing into them. The amount of tree cover above your track matters - if you open up a track by cutting down ride-side trees this will let in wind and light that can dry out the surface, but this can be a mixed blessing - letting the light in often causes much more vegetation to grow across the ride. Opening up tracks is very much encouraged as it tends to create "edge habitats" where wildlife will thrive. Rather than widen a track along its whole length you can create "scallops" or occasional sections where you widen out the track which creates areas where butterflies and reptiles flourish. Clearing vegetation growing on rides is often best done with a "swipe" - a tractor attachment with chains that spin round and cuts any growth, Alternatively for short lengths of track a streamer works well. 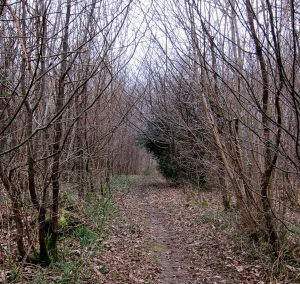 If a track has been neglected for too long without any maintenance trees may become established, often birch or willow - in that case a more radical clearing is needed, but it does at least create an opportunity to consider whether your track follows the ideal route. Well, complicated. Do you want it for winter use too, in which case you will need stone of some kind? Recycled is fine. But lay down geotextile membrane first to stop the soil coming up through the stone. It’s about £100 for a 100m x 4.5 m roll. But it is plastic! Wood chippings will be fine for a while. Hi, was looking for some advice. I have a small trackway that is badly rutted and hasn’t been used for decades. I wanted to grade it for car and potentially lorry access and thought about using wood chipping from the wood itself. Is this a good idea. I want to make the route permanent but natural, what are my options. I am about to try and create a pathway through a deciduous wooded area( very dry chalk). But I am toying with something more smooth solid so I can collect leaves and keep it clear or MOT compacted. My question is leaf fall and keeping a more natural path from reverting back to a weedy overgrown path? It is quite Uneven rabbit and rat holes too. What do we do about tracks in woodlands where the surface is so uneven that it’s uncomfortable or unsafe to walk on? A few hundred tons of loose topsoil, or sand, or gravel would probably help; but that seems a bit extreme just for a path to push a wheelbarrow along. Have other folks overcome a problem like this? A most interesting article. Thank you. We have found that deep ruts have developed in places and plan to get another! load of rail ballast put down. We have also found that tree stumps which were previously flat to the track are now protuding and we shall have to get a stump grinder in. 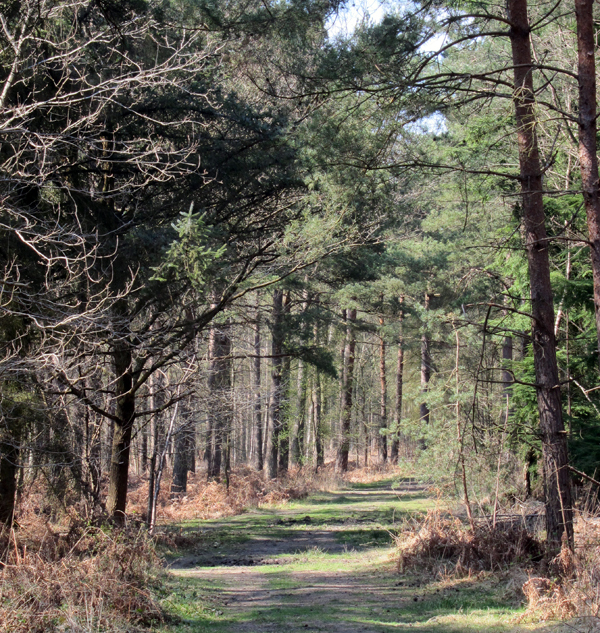 I am a member of The Small Woods Association and shortly plan to do an article on our woodland for them.